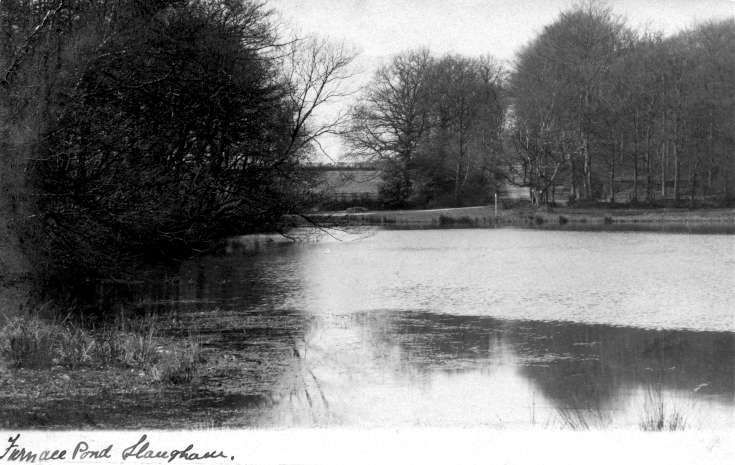 This is probably the earliest photograph in the archives of the Furnace Pond, Slaugham. It was taken from the car park on the crossroads and in the distance it shows Hampshire Hill leading to Plummers Plain and the Wheatsheaf Inn. The vista on the opposite bank was considerable more open than it is today as the trees now cover the area to the water’s edge. The Large Version shows another view of the Furnace Pond from broadly the same position, but at a later date; perhaps the 1930s. This brings back memories of racing round the pond on my bike, also of happy hours spent fishing for pike.